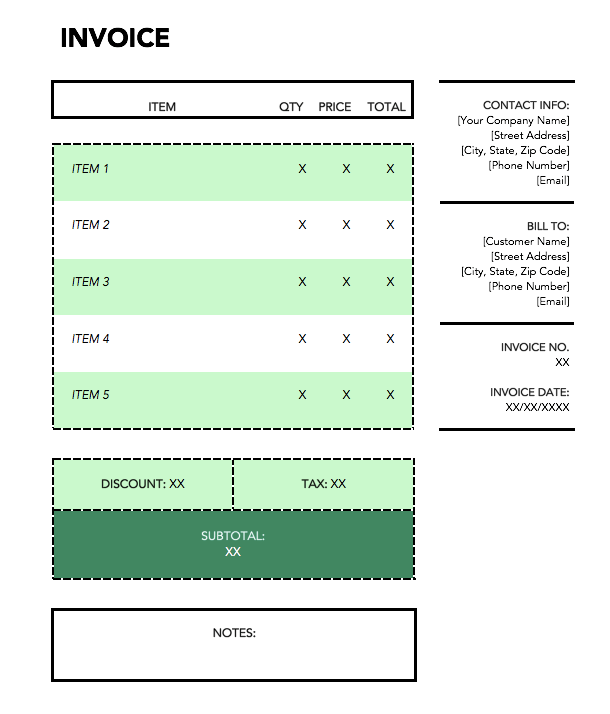 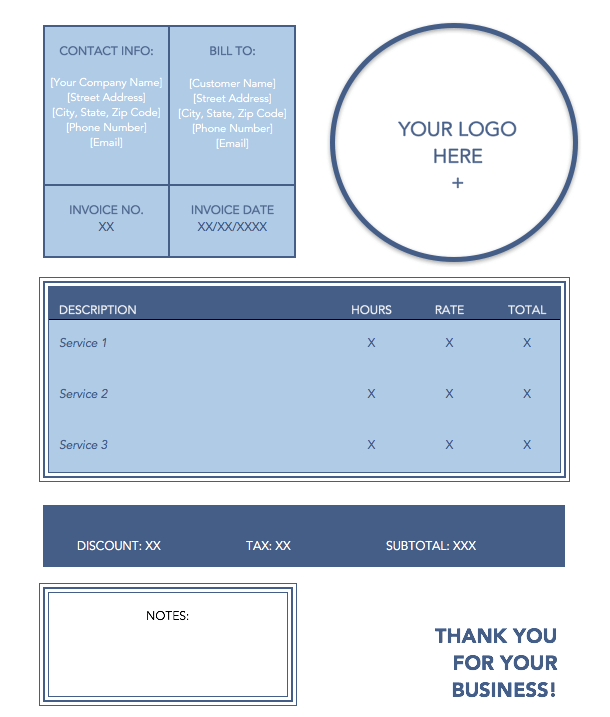 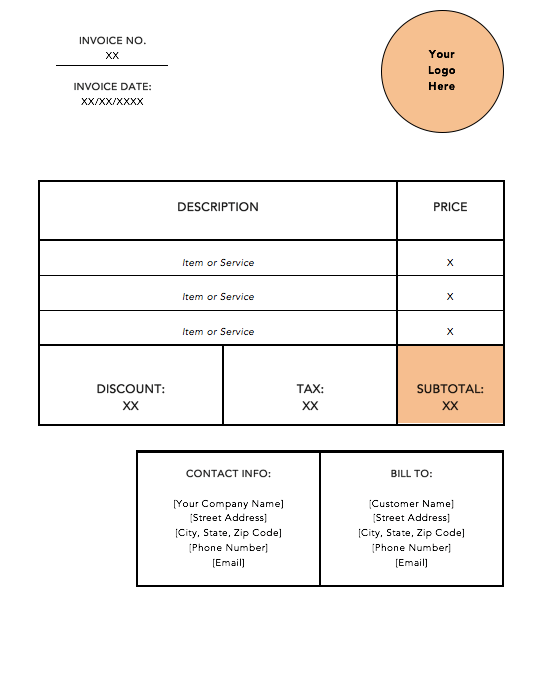 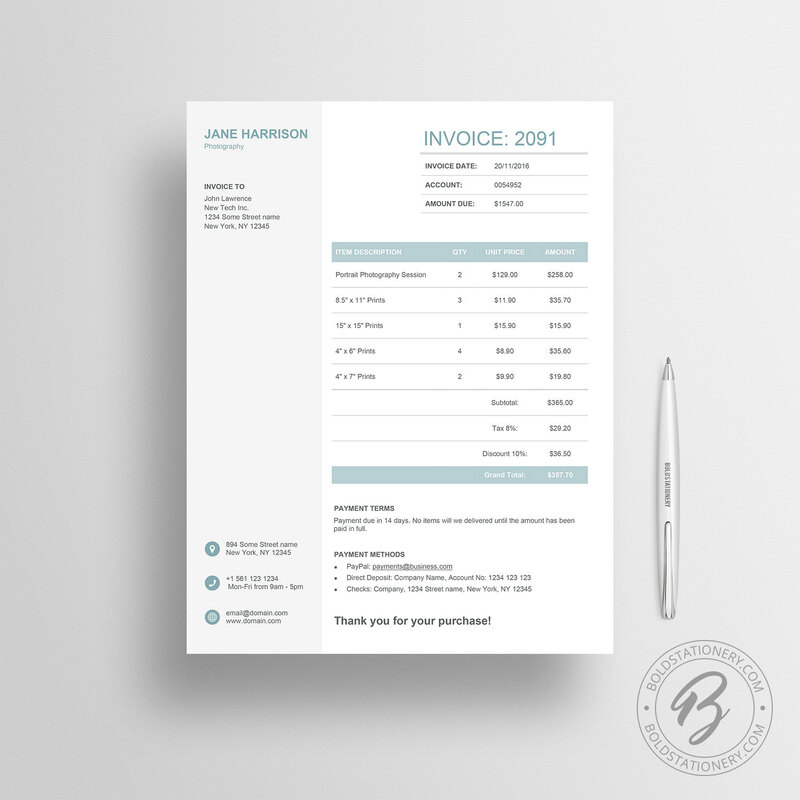 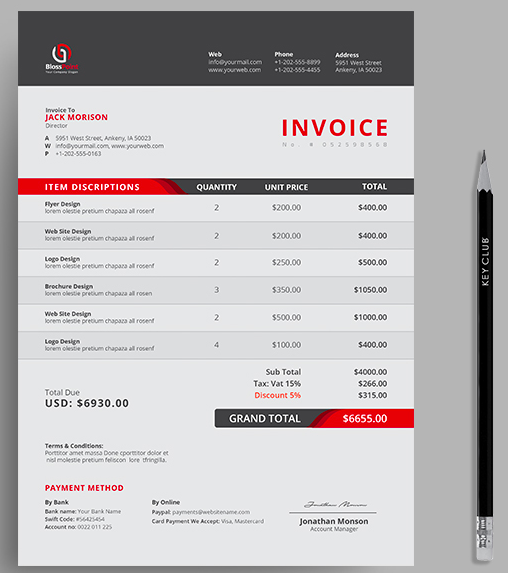 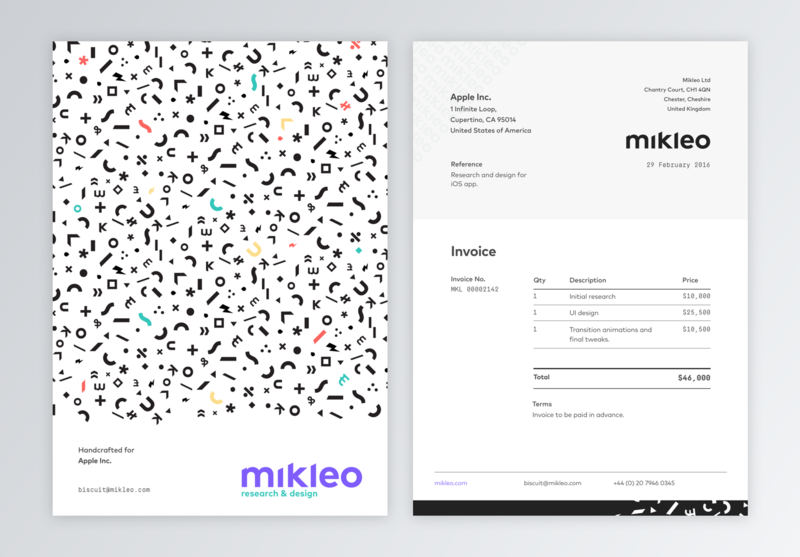 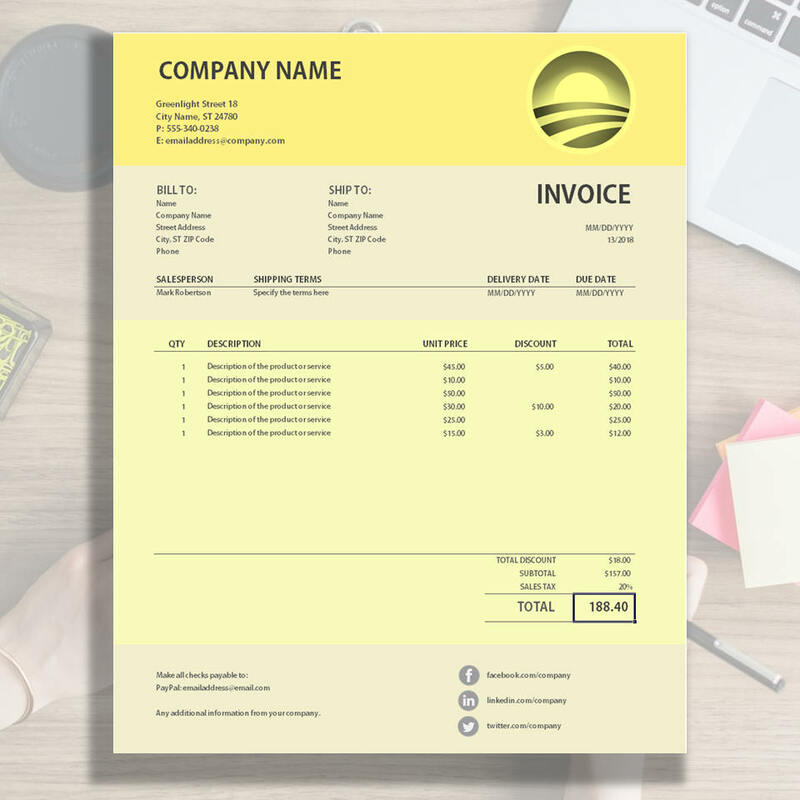 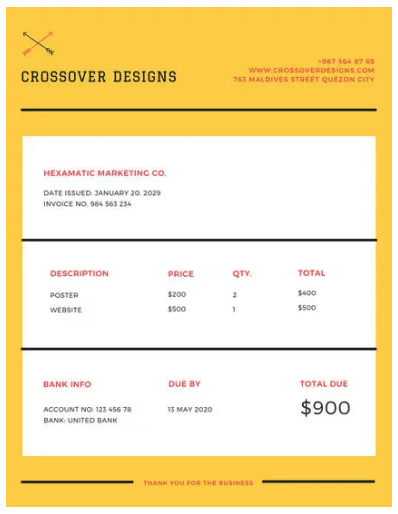 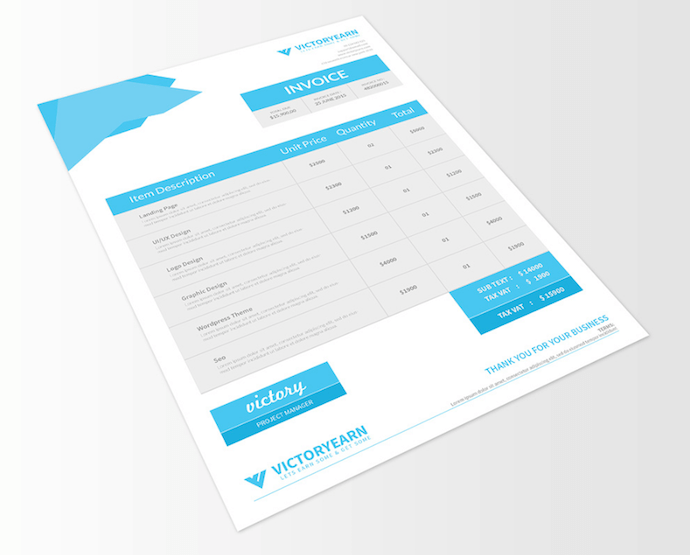 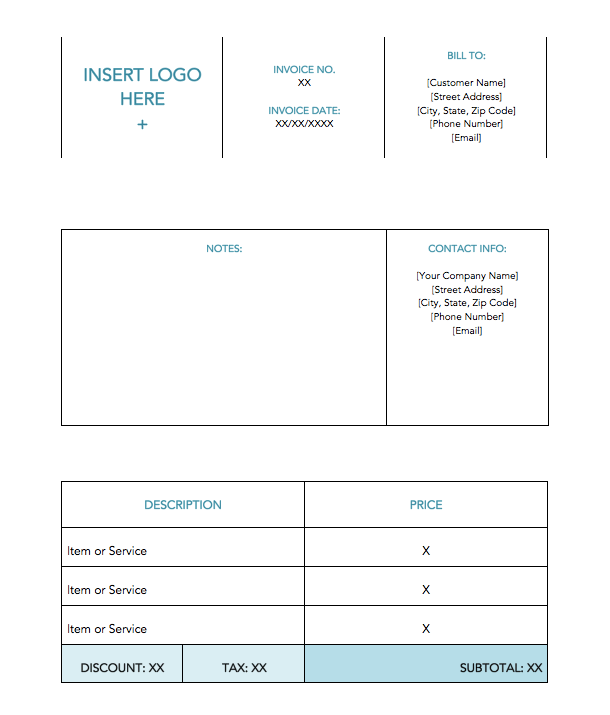 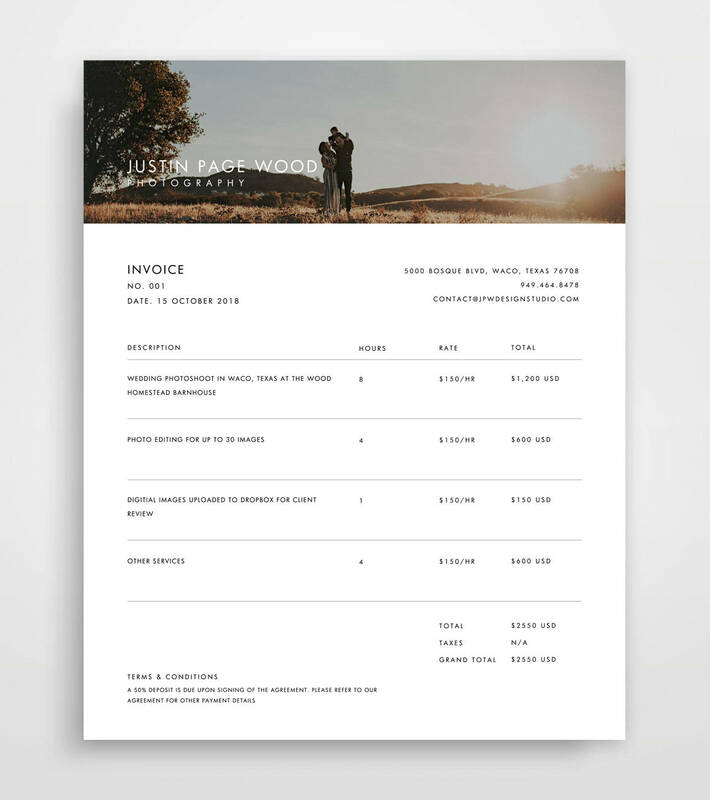 This soft-colored, service-based invoice template allows you to include multiple jobs and how much each one cost your client. 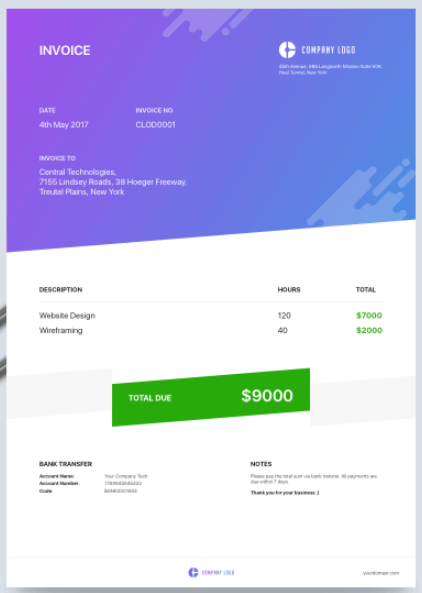 This green template can be downloaded using the link in the header above the image. 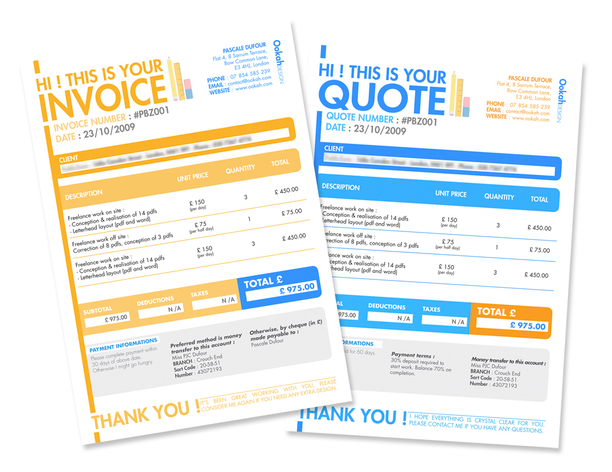 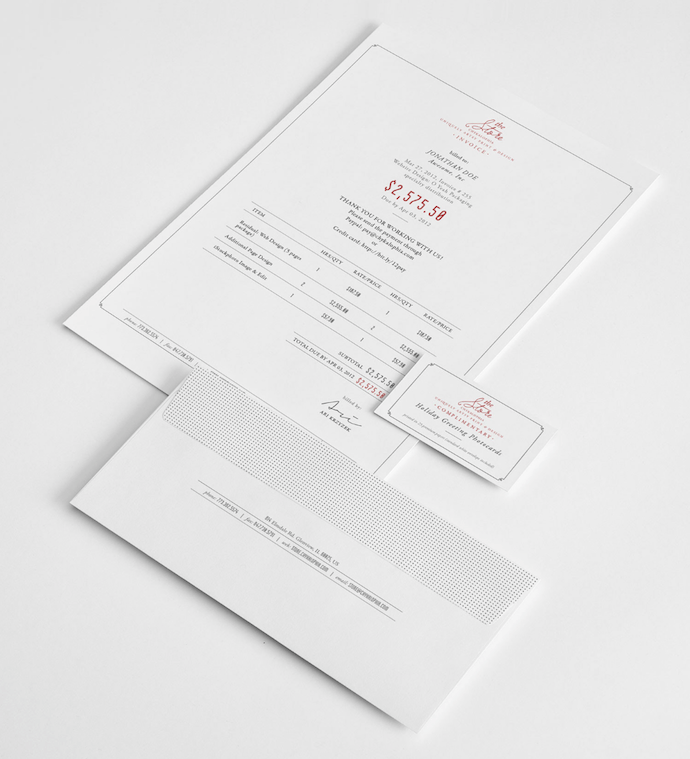 Dedicated to shipping-based services, the vibrant document is perfect for transactions that involved the transportation of goods.